Improving speed, strength and agility are some of the primary goals of track & field athletes. Yet in order to achieve all three many resort to separate workouts, multiple coaches or trainers, different types of equipment, and long hours of practice. The True Form Training System™ is a multi-directional resistance band system that provides a full body workout by incorporating the feet. Its patented shoe and resistance band combination provides intensity, focuses on skill & technique, and improves fitness - all while maintaining the same true form used during practices, actual competition or physical activity. It saves time by consolidating workouts and frees you from restricted and isolated movements of other solutions. The complete set includes custom shoes, a comfortable belt, rear attachment and 6 bands color-coded by resistance level and tailored to your height. Best of all, it can be used with any sport, at any speed and anywhere! 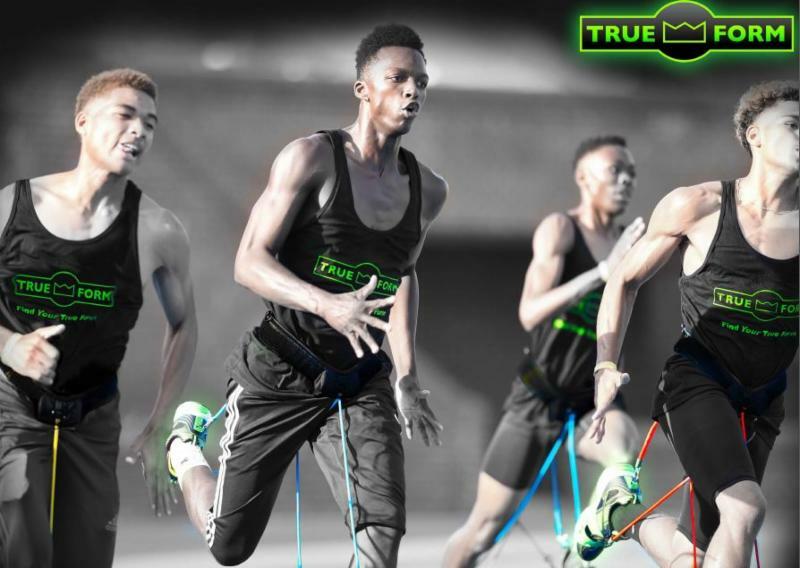 Athletes of all ages and fitness levels can use the True Form Training System™ and experience results. Join thousands of satisfied customers, athletes, and fitness enthusiasts by purchasing a complete training system today! Get $10 off with promo code "coacho". Visit www.wearetrueform.com for complete product details or contact their support team with questions. Want to be featured in "FOCUS?" Click here to request more information.